Voucher codes and offers for use when holidaying in the east of England with Norfolk Hideaways. Norfolk Hideaways provide a portfolio of over 300 holiday cottages in this popular inland and coastal county. Book both short and extended breaks in a variety of accommodation for both adults and children with dog friendly options available. Save up to 20% off summer and winter breaks. Terms & Conditions: The offer is eligable for selected holiday homes taken between selected 2019 dates. Terms & Conditions: The offer is eligable for holidays taken between selected 2019 dates. Book a break in September with some of the properties offering discounts of up to 20% what better time to book a break! Terms & Conditions: Book a break between now and 31st December 2017 for stays this year and get a 5% discount code* off a future stay in 2018. *T&C’s: The 5% discount code off a 2018 Norfolk Hideaways break will be sent via email to you. To qualify for this offer make a booking for a stay commencing before 31st December 2017. To redeem your 5% discount code, your 2018 stay must be booked by 28th February 2018. This offer can only be redeemed once against one booking in 2018 and the stay must be completed by 31st December 2018. The voucher code cannot be used in conjunction with any other voucher or promotion and is not transferable. There is no cash alternative. Terms & Conditions: To claim the discount simply book a break that falls between the 30th October and 10th November 2017. We all know that Norfolk holidays can be expensive and sometimes a brick wall for families to enjoy a break at an affordable cost. However the cost doesn’t have to be prohibitive and we will share our users some ways that can reduce the cost, sometimes by up to 20%. Norfolk Hideaways is Holiday Cottage Agency based in north Norfolk. Despite being base in the north they off holiday cottages throughout the whole north of the county from Heacham to Mundesley. 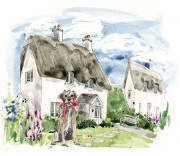 They have more than 350 properties on the books which range from cosy cottages to larger family or group size retreats. Many of the cottages are dog friendly therefore giving all the family and pets a holiday to remember. If you can wait for a Norfolk Hideaways voucher code then signing up to the newsletter can be a prudent move. Get special offers, competitions and travel news, some of them exclusive to newsletter members. Visit the Norfolk Hideaways property special offers page for savings of up to 20%. Discounts range from 15% to 35% at the time of writing. One cottage was listed as having a £100 saving between certain dates. Social Media can be a great outlet to pick up Norfolk Hideaways voucher codes. Furthermore the social pages can offer travel tips and recommendations which can help with holiday preparations. Cashback deals offer virtually instant rewards when booking through a personal link. Although it can take months to be approved and to receive the cash, fine if you are prepared to wait. Visit the Norfolk Hideaways offers and rewards page to save around 10% off days out and attractions around the county of Norfolk.